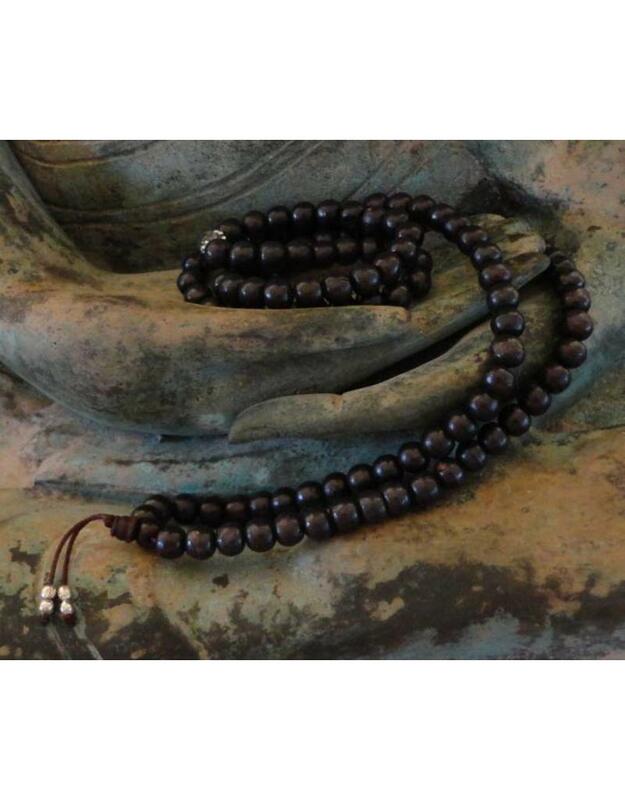 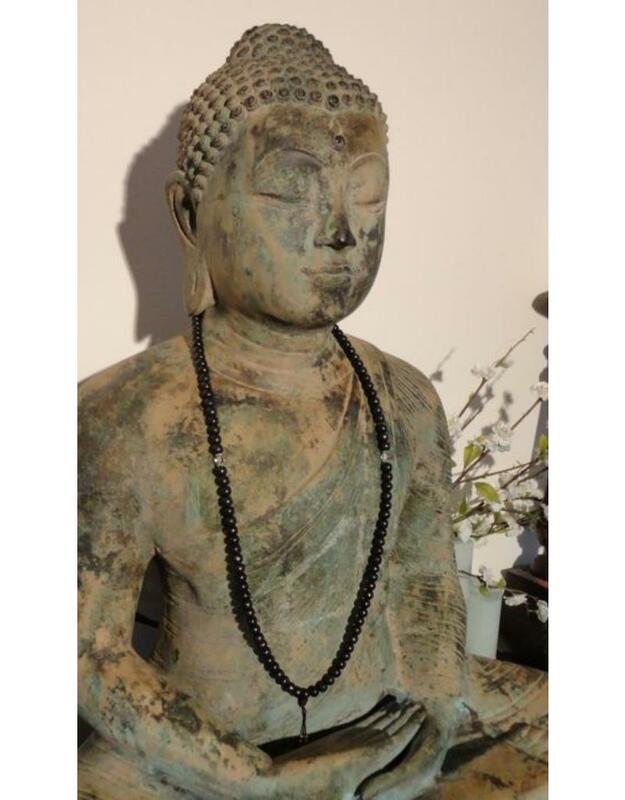 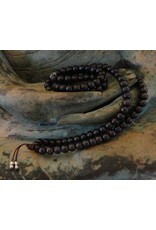 Beautiful handmade mala of dark rosewood with clear glass beads. 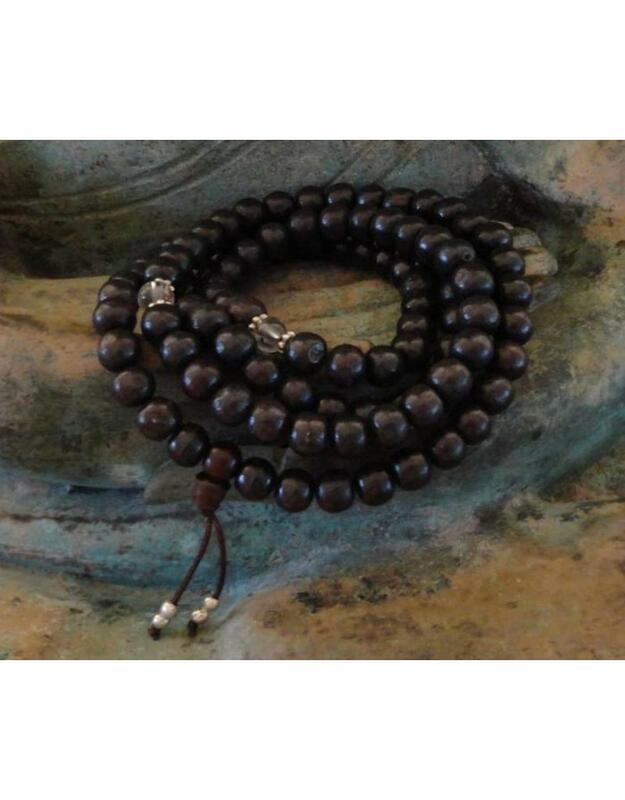 The wooden beads are 10 mm and the glass beads are 8 mm thick. 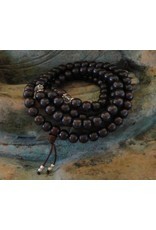 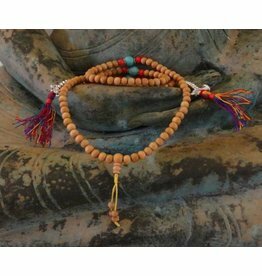 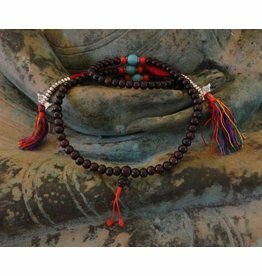 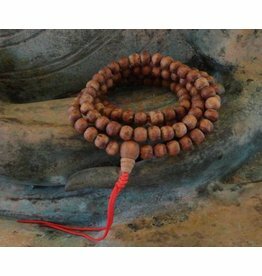 This mala has more space between the beads so you can slide a bead easier aside. 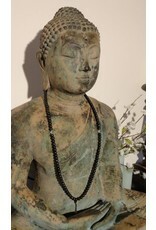 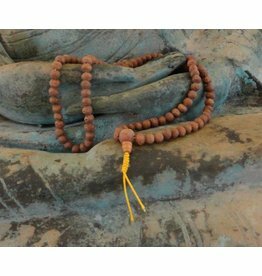 The length of the mala is about 54 cm and comes with a beautiful brocade mala bag.